Road Trip 2014… Michigan and Ohio! Before departing Michigan, we took the Ann Arbor road out of Plymouth to this vibrant and beautiful college town on the Huron River to visit Parrish Framing & Art. The owner, Randy Parrish operates this small shop in the Nickels Arcade right downtown. This looks just like an Arcade in the UK with the high ceiling, mixture of eclectic shops, old and new and the nice mixture of indoor/outdoor atmosphere. I selected Randy’s shop as one to visit as he has been quite dedicated to PPFA, our trade association. To give of your time and effort is no easy task while running a business…. it is especially difficult when you are the owner and only employee of that business – It requires some dedication to the concept of what you give comes back to you in dividends. This entry was posted in Busman's Holiday - Road Trip on 28 June, 2014 by John Ranes II, CPF, GCF. The first leg of our journey gets us through Milwaukee, Wisconsin and around Chicago, Illinois (listening to the Germany Vs US World Cup match on the radio). We traveled onto our first stop in Chesterton, Indiana. Only 255 miles door-to-door, this community was once a small town, miles away from the big city but now definitely lies in the shadow of the industrial area of Chicago. It is still charming as can be, with a rail line cutting through the center of town and a bustling with a freight train every 20 minutes or so. 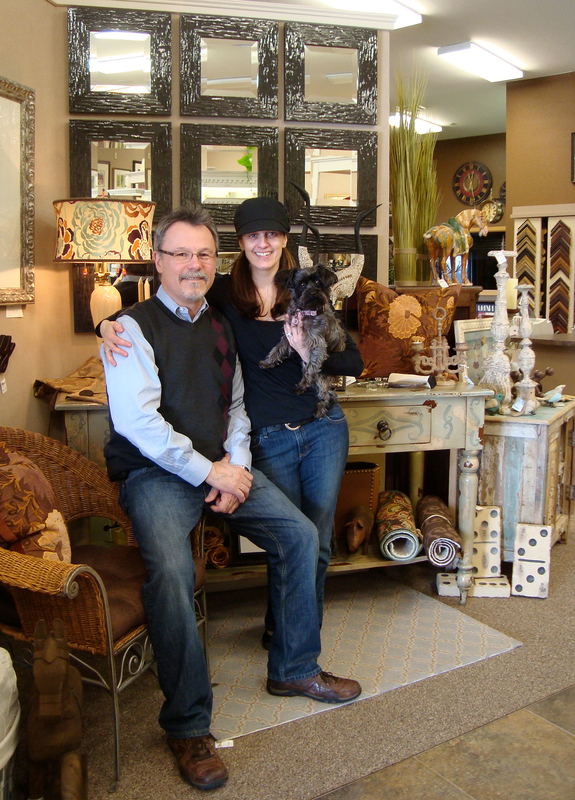 This first stop on our journey is the home to Framing Concepts Gallery operated by Ken & Pat Baur. Ken might be better known for his industry consulting work as KB Consulting but their business demonstrates many examples of his business professionalism and acumen that he teaches. 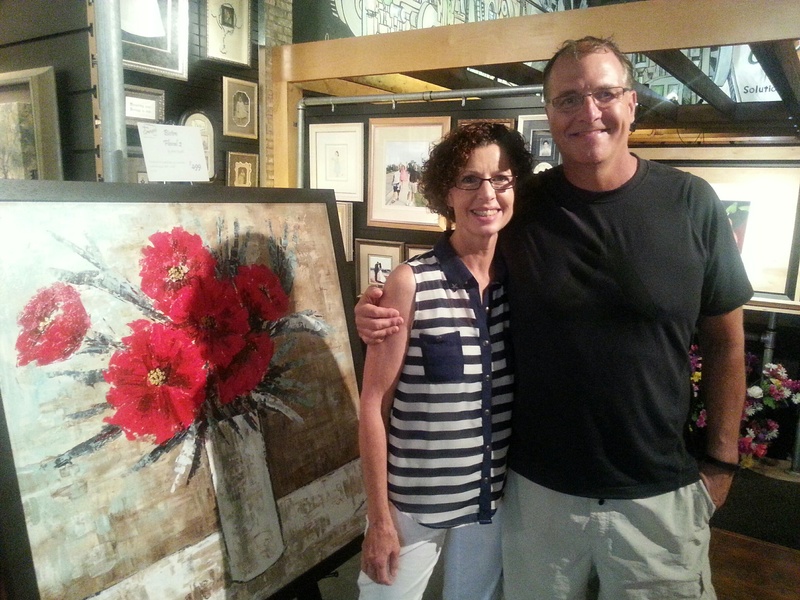 Pat and Ken Baur of Framing Concepts Gallery located in Chesterton, Indiana. This entry was posted in Busman's Holiday - Road Trip on 26 June, 2014 by John Ranes II, CPF, GCF. The term, busman’s holiday stems back to the late 1800’s, where a man who drives a bus for a living goes on a long bus journey on their holiday. So by definition, it is a holiday in which you spend most of your time doing the same or something very similar to your normal work. So It should come as no surprise to many picture framers that we do enjoy and have been busted venturing into another frame shop while on holiday – It sort of comes natural within an industry where people honestly love what they do! 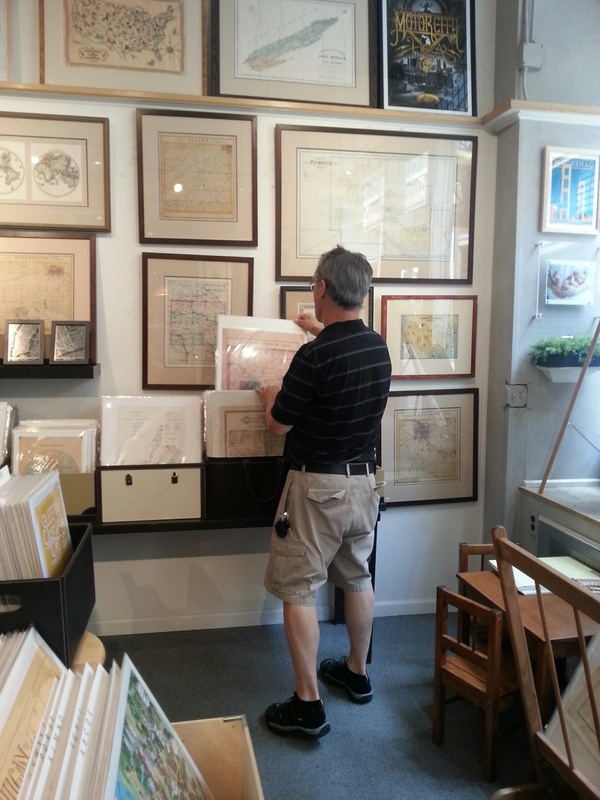 So as we head into the last week of June, Sarah and I are heading towards a family gathering in Center Harbor, New Hampshire, but along the way we plan on visiting some old friends and a number of folks in the framing industry, gallery owners and some specialized gift shops. We’re taking a leisurely journey to New England that provides us an opportunity to connect to some great framers and business people. The journey from Appleton, Wisconsin to New Hampshire will take us to businesses in Indiana, Michigan, Ohio, Connecticut, Massachusetts and Maine! Why? Well… most of us recognize that we are bound to learn some new tidbit of value when visiting another business that we might be able to apply and use in our own shop… but these stops represent a little more on this journey. As we now enter into the 7th year of a economic downturn, we’ve seen nothing but survivors remaining among these independent businesses that still have their lights on. And thus I would like to ask them what do they see that contributes to their success and what lessons have they learned in these more difficult times? Stay tuned… this is going to be a learning experience for us. This entry was posted in Busman's Holiday - Road Trip and tagged Busman's Holiday, Framer visits, galleries, PPFA, Retail Speaks, road trip, surviving business, the great recession on 25 June, 2014 by John Ranes II, CPF, GCF.